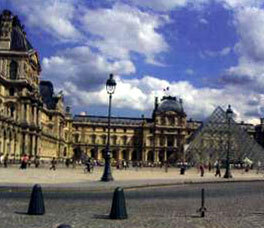 France is a country made up of world famous wine, cheese, art, architecture and culture. From the beaches along the Mediterranean to the Atlantic Ocean or from the top of the Eiffel Tower to the depths of the Louvre in Paris, everyone is sure to find something for oneself in France. First Class Hotels Land Only from Paris Air & Land from New York Air & Land from Los Angeles Superior Class Hotel Suppl. *Prices are in US Dollars per person based on double occupancy. Add $30.00 per person each way for travel on weekend (Fri-Sun). Tour price is subject to availability, change; holiday/seasonal supplements; blackout dates; and any restrictions that may apply. Single room supplement and extra nights rate are available upon request. Prices do not include US departure taxes, fuel surcharge and PFCs of approximately $175-$225 per person.